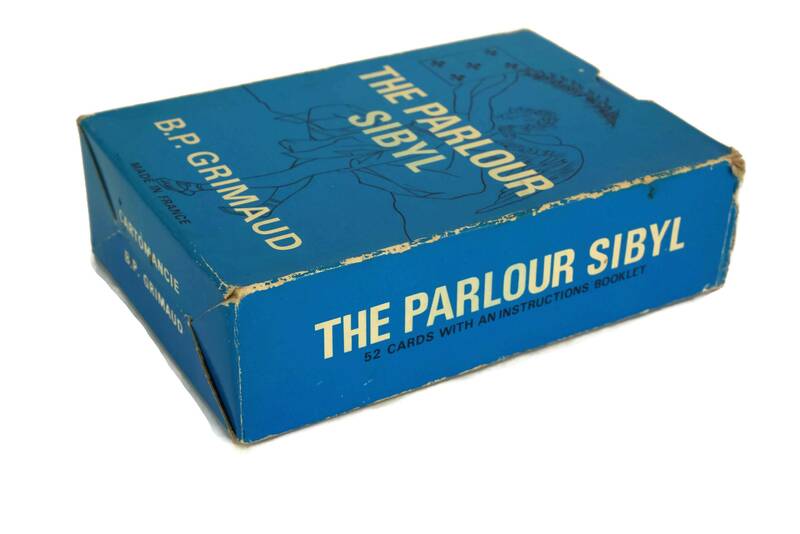 A beautiful vintage French edition of the Parlour Sibyl Tarot Cards from 1970. 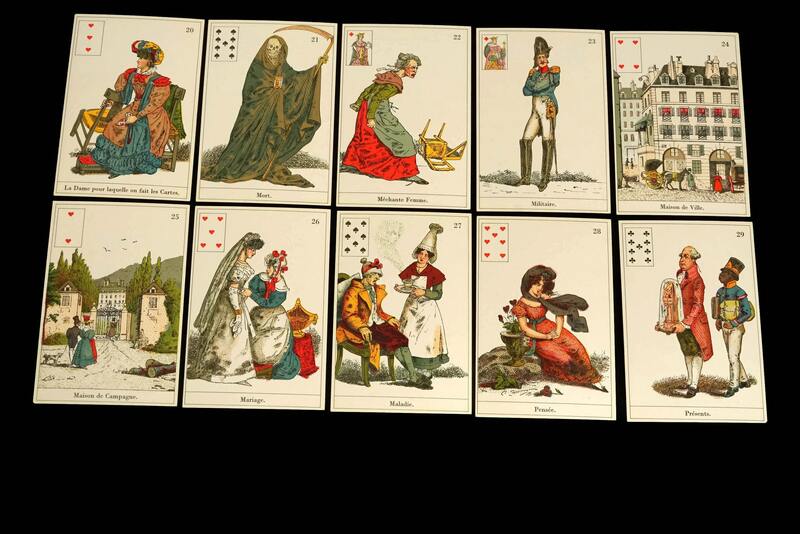 This Tarot deck of prophecy cards, known in French as La Sibylle des Salons, is a reprint of a 19th century deck designed by Mansion. 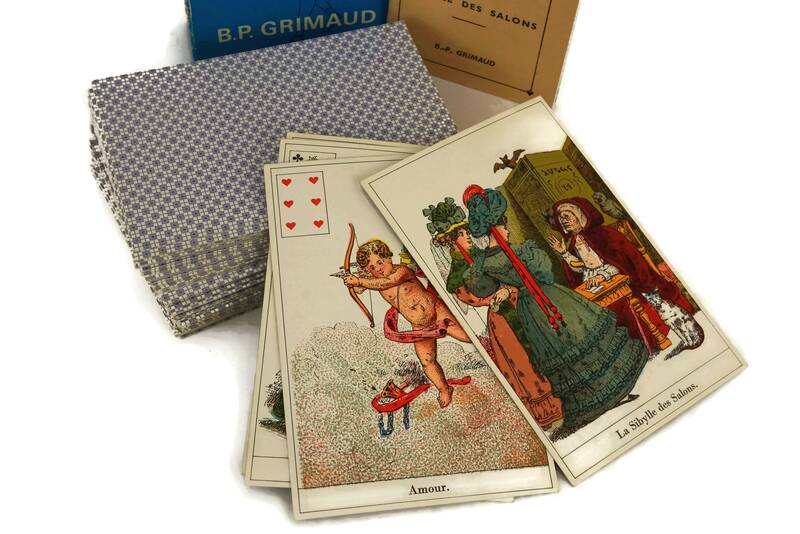 It has been published by the famous French company B.P. 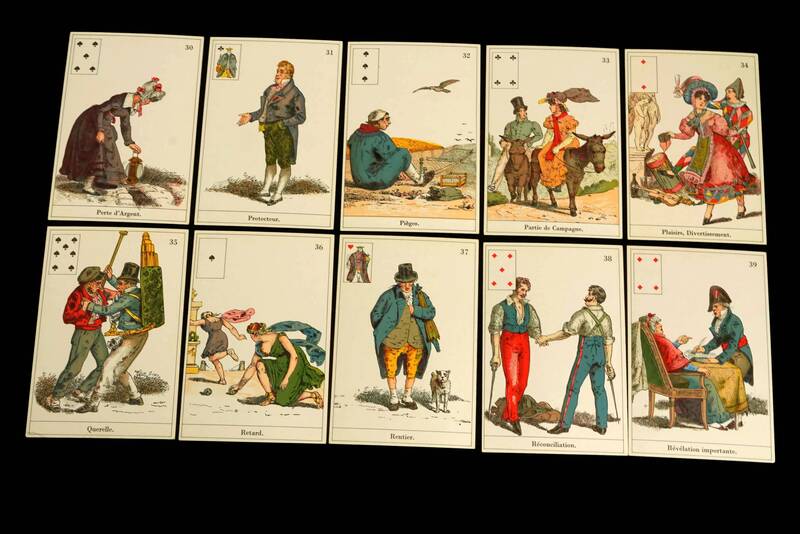 Grimaud. 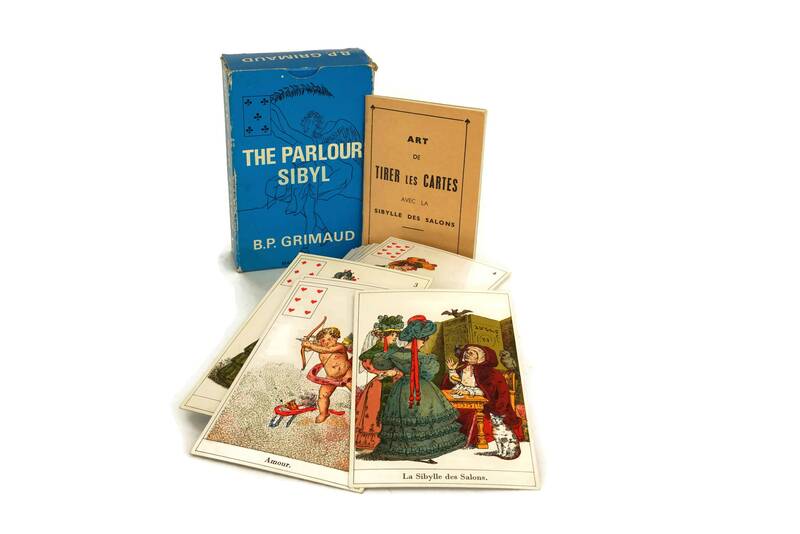 This is a complete 52 card deck of cards plus 1 extra card that depicts the Parlor Sibyl. 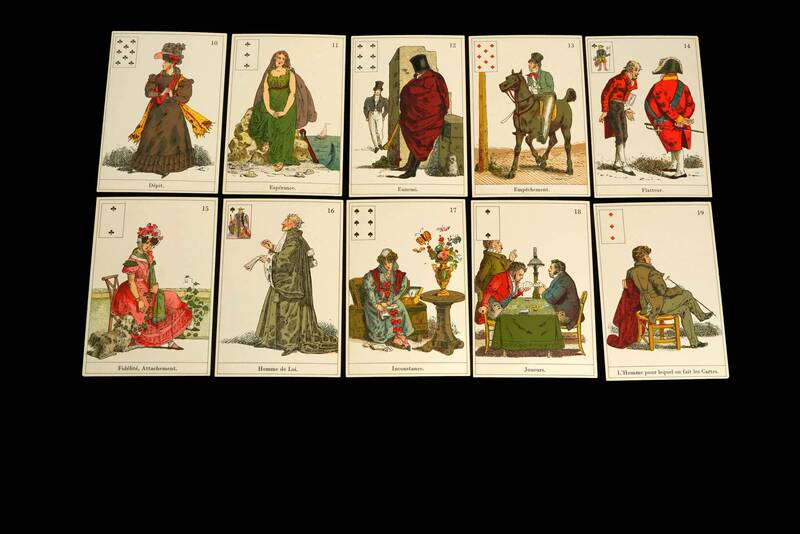 The 52 cards are numbered 1-52 in the upper right corner, but in the upper left there are standard playing card insets corresponding to the 52 cards in a standard deck (i.e., #1 card has 6 of Hearts inset, #2 has queen of clubs, etc.). 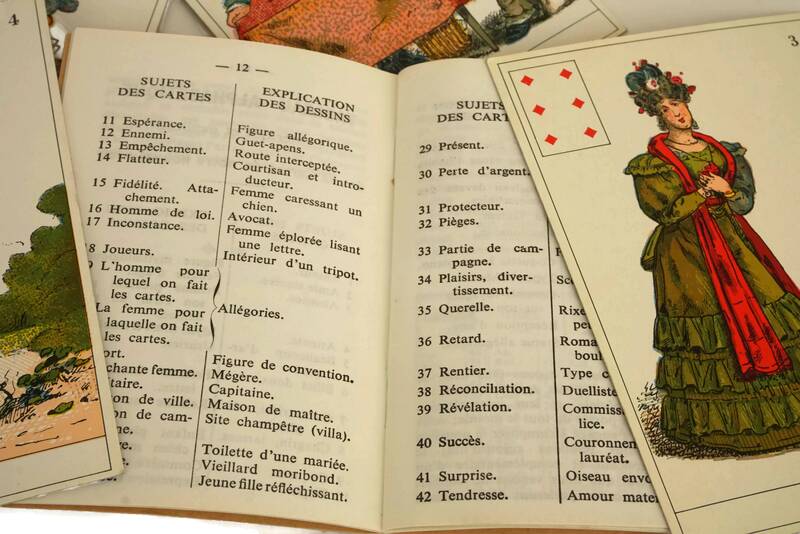 The deck comes in its original box and is accompanied by a 29-page instruction booklet in French language that explains the cards and how to use them. 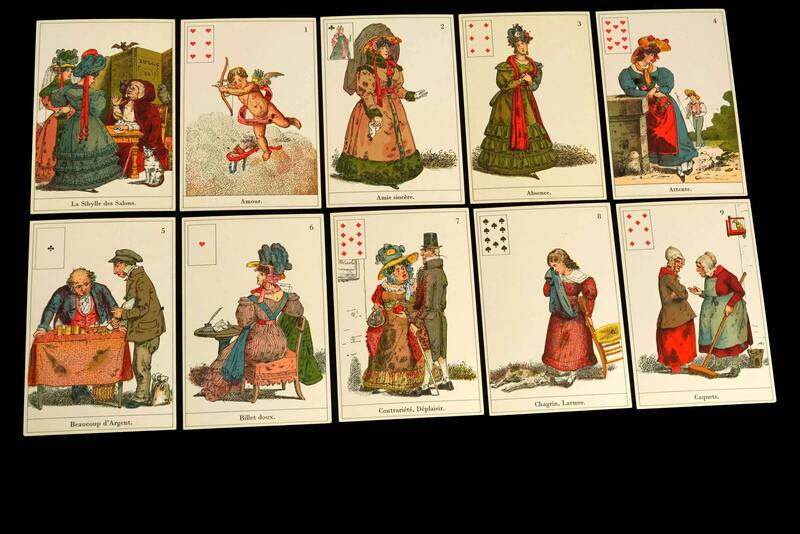 Each card measures approximately 4.5" Tall x 3" Wide (11,5 cm x 7,5 cm). 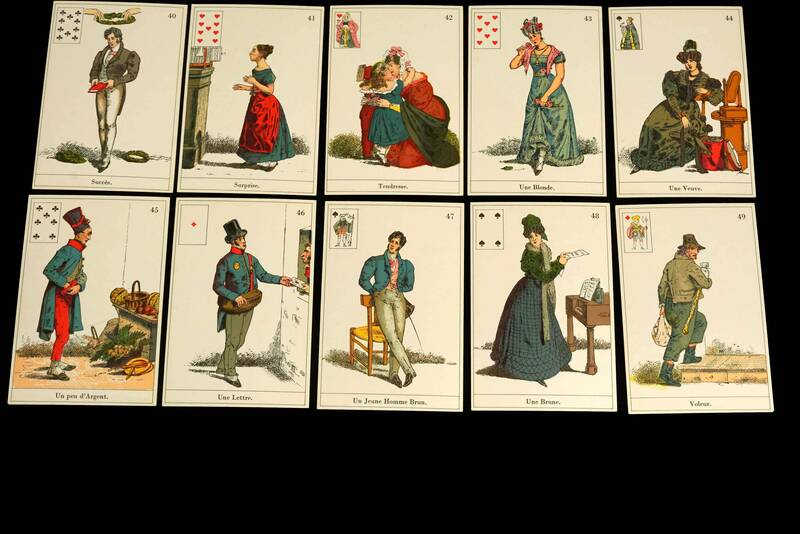 The deck and the instruction booklet are in very good condition with light signs of use and wear. 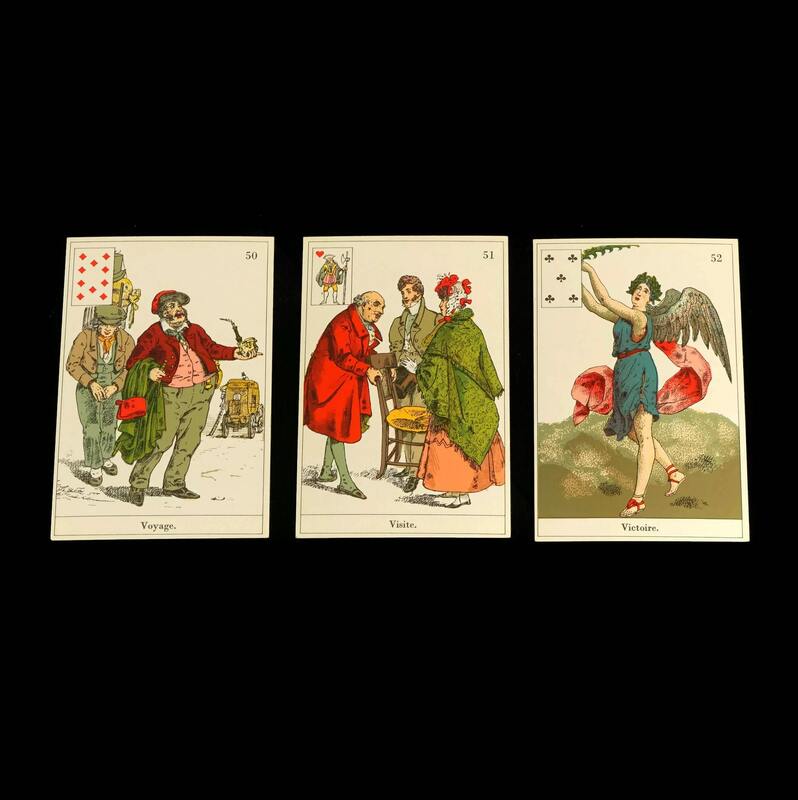 The presentation box is worn and has tears and repairs in places.